GM Darwin Laylo has won the 2012 Manila Open Chess Championships for the Mayor’s Cup in Manila. Laylo scored 7.5 points - half a point clear of the field and 12-time National Open champion GM Rogelio Antonio Jr., and former Philippine Junior Champion and Nationa Master (NM) Rolando Andador. Antonio and Andador got the second and third places, respectively. Laylo beat GMs Antonio and Mark Paragua in the final two rounds to clinch the title in the eight-round event supported by the National Chess Federation of the Philippines. The chess tournament was also part of the Manila 441st founding anniversary celebrations. A veteran participant of the World Chess Olympiad and the World Chess Cup, Laylo is also a member of the Philippine Team that won the silver medal in the 2010 Asian Games in Guangzhou, China. is he named darwin after charles darwin? thanks for the news. 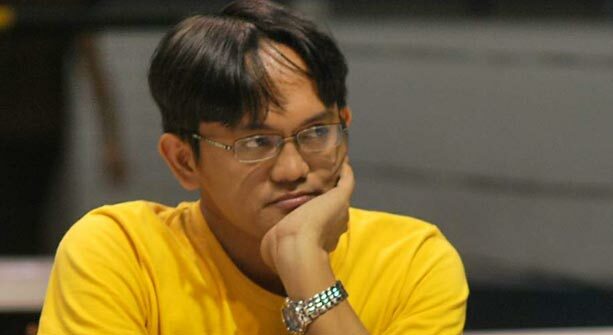 philippines chess is still to get its due in the world i believe. like the chinese and the russian traditions we also have a special traditions.